If you explore the area around Longshan temple, you will run into this relatively unknown tourist destination. Bo-Pi-Liao (剝皮寮), is a part of Taiwanese historical heritage and long time ago served as a residential district for Chinese immigrants and a military base. 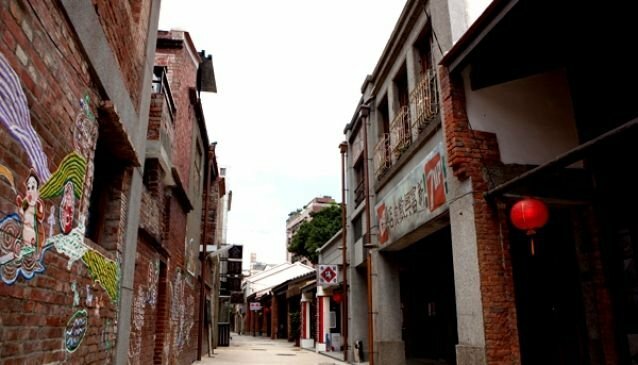 The name of the street is puzzling even for locals, for it literally means 'skinning of the tree' and it refers to the practice of skinning cedar trees during Qing Dynasty. The neighborhood was recently restored, and the red brick buildings were reinforced by steel, glass and aluminum. Most of the buildings were built in the second part of the 19th century.